A customer came to us with a very specific and well thought through idea to create his perfect interpretation of an air-cooled 911. 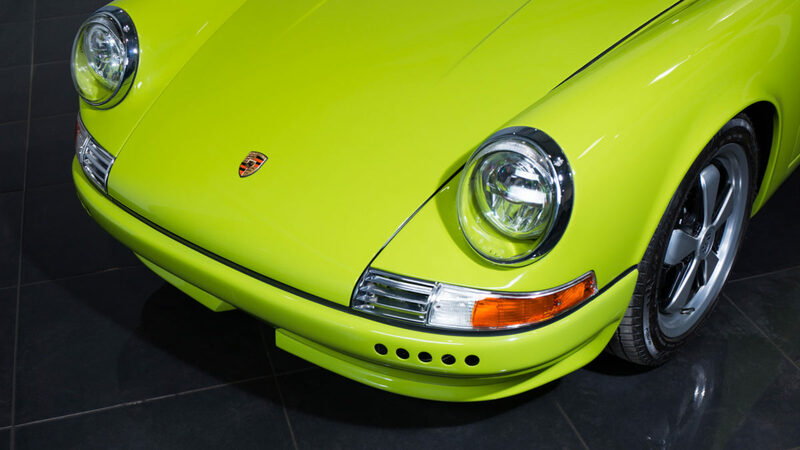 The donor car began life as a 964 Carrera, which lend themselves exceptionally well to what is now widely known as a ‘Restomod’. Over 18 months the design brief was met with meticulous detail. Some highlighted specifications of the vehicle: a naturally aspirated air-cooled 390bhp RPM Technik hand-built 3.8 motor; carbon body panels; 1150kgs; traction control with adjustable fuelling maps; LED headlights (which went on to be marketed as our famous LumeTechnik headlights); one-off handmade interior – the list goes on. Needless to say, everyone involved in the build was ecstatic with the finished product.